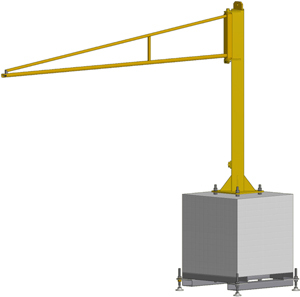 The jib crane is a lightweight PFTLmob reserved to the suspension and movement of electric and pneumatic tools. The use of this model is not recommended for lifting loads other than tools. The rotation occurs on 270°. This jib crane cannot be motorized. Hoist power supply cable + lockable switch.